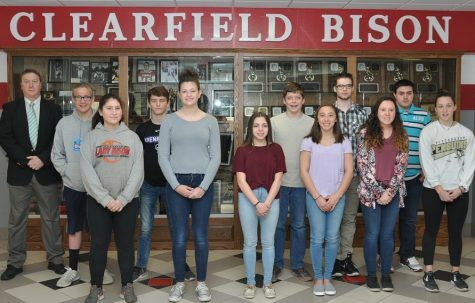 Clearfield Area Jr.-Sr. High School is proud to announce the Students of the Month for December 2018. 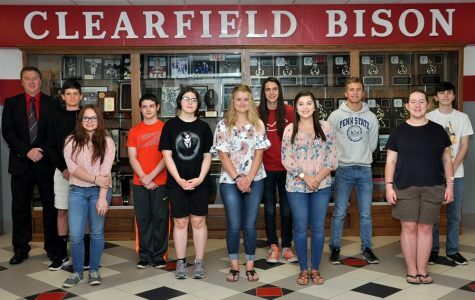 Teachers and guidance counselors selected these students on a basis of performance in class, participation, helpfulness, attendance, and academic achievement. 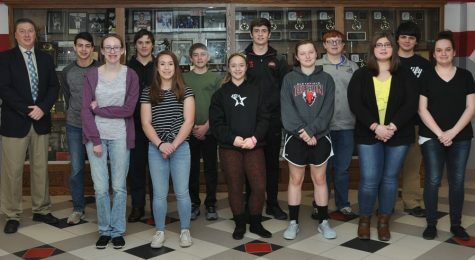 Students of the Month are: 7th Grade: Haidyn Funair, Luke Casher, Kaylee Jo Stephens, Olivia Bailey; 8th Grade: Camden Gormont, Luke Billotte, Abigail Simcox, Cara Turner; 9th Grade: Dalton Hummel, John Poole, Elizabeth Ryan, Scarlett LeBeau; 10th Grade: Graeson Graves, Garrett Hamm, Alycia Edwards, Sydney Salvatore-Trinidad; 11th Grade: Cruz Wright, Gary Clark, Hayley Moore, Lauren Coleman; and 12th Grade: Noah Johnson, Dylan Thompson, Abby LaBorde, Morgan Demchak.